Using a palette of stained timber and concrete panelling, the West Quarter apartments adopt a costal vernacular and provide residents with a relaxed and engaging sense of costal urbanity. 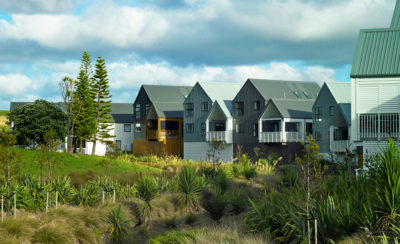 This development located adjacent to the Pine Harbour Marina, is part of a larger multi residential development-housing scheme evolving the area of Beachlands into a new mixed-use community in the East of Auckland. 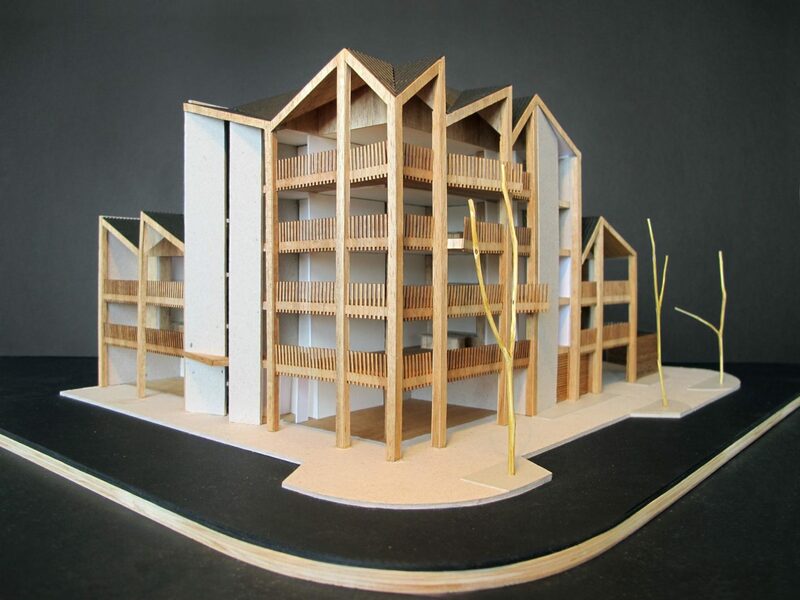 The site contains a five-storey residential apartment block and eight townhouses. At the base of the apartments, two retail tenancies and a lobby sit at its corner, providing engagement and activation to the quaint street front, while the four storeys above contain a mix of two and three bedroom apartments. Eight three-bedroom homes sit adjacent to the apartment block. These blend living space with North facing outdoor balconies that generously provide sweeping views out towards the Hauraki Gulf. 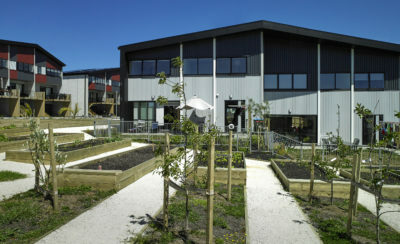 The west quarter apartments provide a uniquely costal multi residential development to the residents of this growing costal haven.